Preheat oven to 400. Place the Bumble Bee SuperFresh® Salmon with Garlicky Black Pepper and Extra Virgin Olive Oil in their included parchment envelope. Place on a baking sheet. Cover the rest of the baking sheet in foil. Arrange the cauliflower in a single layer over the foil. 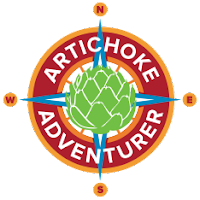 In a small bowl, whisk together the garlic, oil, lemon juice, anchovy pasta and capers. Drizzle over cauliflower. Bake for 20 minutes. Remove the cauliflower to a bowl, stir in warm lentils. Plate the salmon and divide the salad between the two plates. Serve immediately. With Matt taking ASL classes three nights a week and tai chi one night a week, it has been a challenge to make dinner. We are either eating very late or freakishly early for the bulk of the week. So what I've been doing is trying to make meals that are either a. quick or b. need little hands on-time. 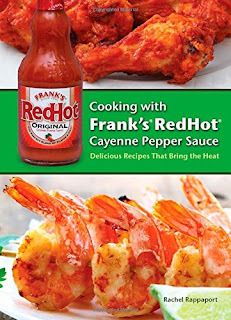 So when Bumble Bee asked me to come up with a 25 minute meal involving their new frozen seafood, I readily agreed. I was pleased with the salmon, it was very fresh tasting and honestly, had a better texture then about 1/2 the time when I make salmon from scratch. I think it is because you are cooking it from frozen which I just discovered a few months ago is the trick to really moist salmon. Since it came with a perfectly sized parchment envelope, all I had to do was wrap it up and pop it in the oven. I thought I'd make roasted cauliflower to go with because it cooks in the same amount of time as it takes to bake the salmon: 20 minutes. I used cooked beluga lentils I heated up but you can make them fresh in the time it takes to bake the cauliflower if you wish. Simply simmer 1 cup dried lentils in 2 cups salted water for 20 minutes until tender. I love beluga lentils because they hold their shape making them a great choice for hearty salads. 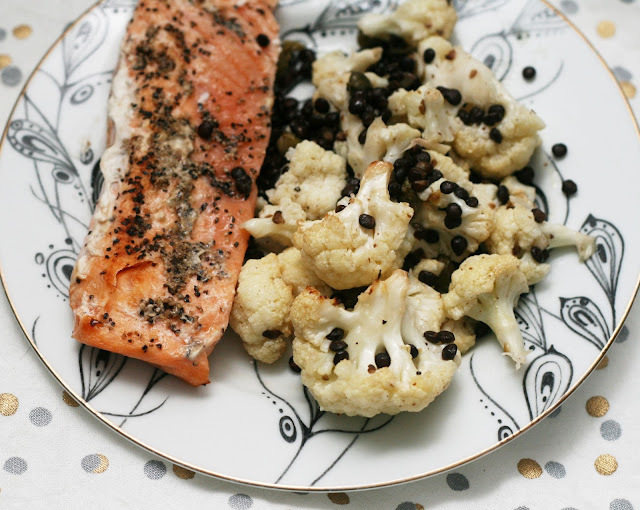 Since I was using the well-seasoned garlicky black pepper salmon, I went Italian-inspired for the salad and tossed in pretty much all of my favorite ingredients: anchovy, lemon and capers. The capers roasted wonderfully but take care to use the capote capers are called for, not the small non-peril variety as the smaller capers may burn. 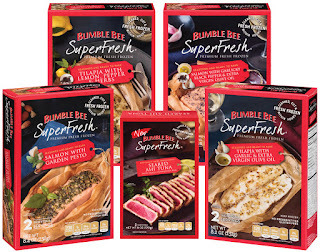 Visit the Bumble Bee SuperFresh® website for a coupon to try these SuperFresh® for yourself! 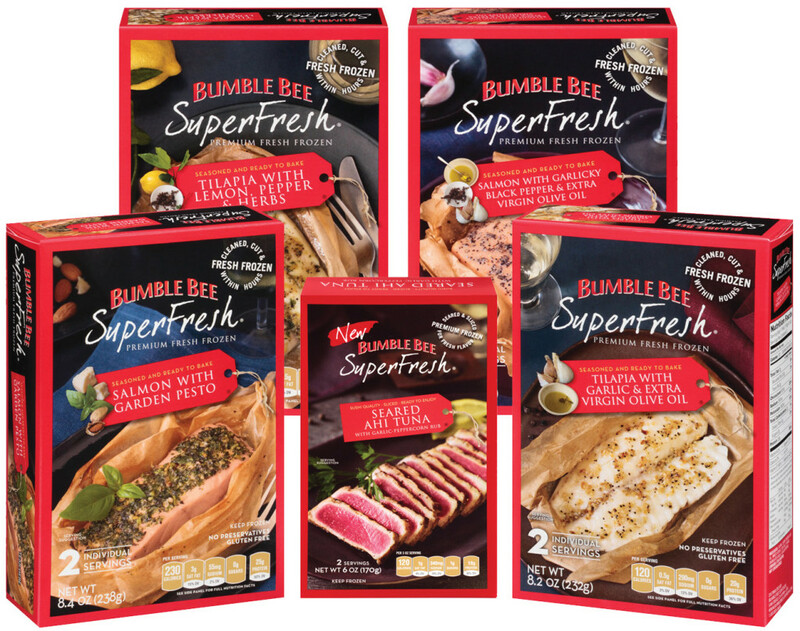 Bumble Bee SuperFresh® is a complete line of naturally-seasoned, restaurant quality, “fish-forward” prepared seafood solutions for the home. 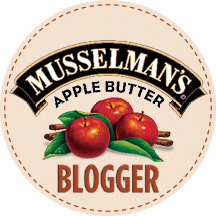 It raises the bar for what seafood lovers can expect from frozen food!